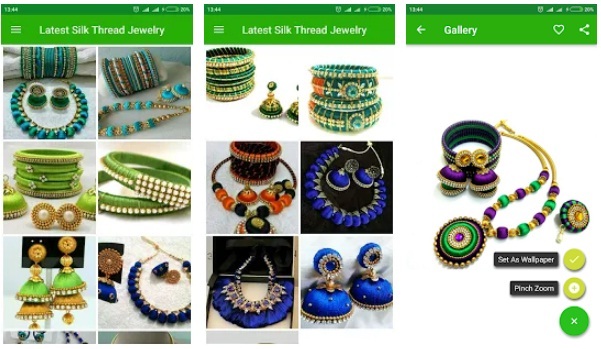 The Silk Thread Jewelry is a wonderful latest Android application. It has all the variety of Silk thread jewelry collections. All the products are in this app are from simple, casual wear to grand party wear collections. You can ask for a customized set according to your required colour. The Silk thread ornaments are very famous and popular in today’s market. We have thread necklace, silk thread bracelets, silk thread earrings, silk thread anklet, and many more to add to in your collections. It is the best android app for Silk thread App. To get the unlimited shopping experience, download Art & Design Apps from Mobile Application Bangalore.